I like everything about college football. I love the pageantry and the spectacle, the band, the crowd, the united communal spirit where we all come together and root for our team. I love it all. But I’m also a visual person and a clothes horse, so I’m really into the uniforms. I follow @HerdEquipment on Twitter religiously. 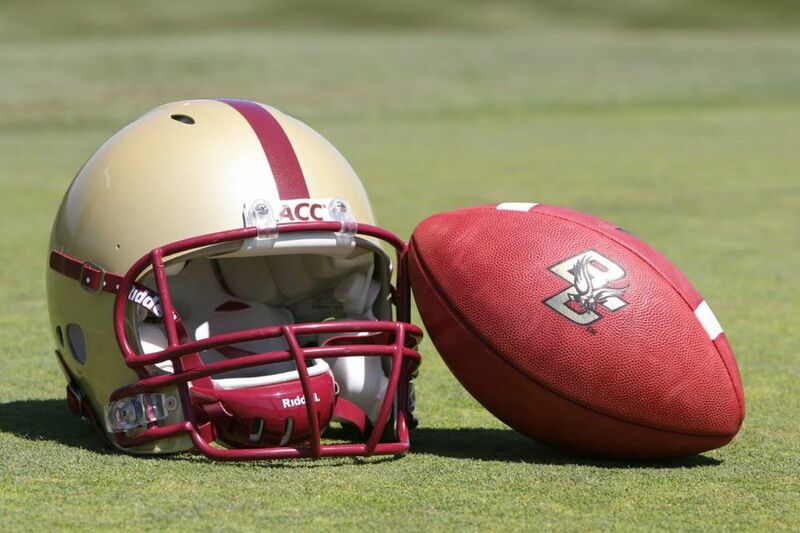 That said, there is one aspect of a football uniform that is a signature of the sport: the helmet. So I thought I’d take a moment to look at my top 10 list for the best/most iconic helmets in college football. I’m very partial to classic helmet designs. I also like helmet stickers when they are appropriate and match the concept. FSU nails it with the simple spear and tomahawk stickers. Plus the garnet and gold are a solid color combo. Purple is a hard color to pull off and there are a number of schools who don’t (looking at you TCU), but LSU pulls it off very well with their classic gold helmets and purple lettering. This helmet would rank higher if they left off the tiger logo and just stuck with the center stripes and the “LSU” on the sides. 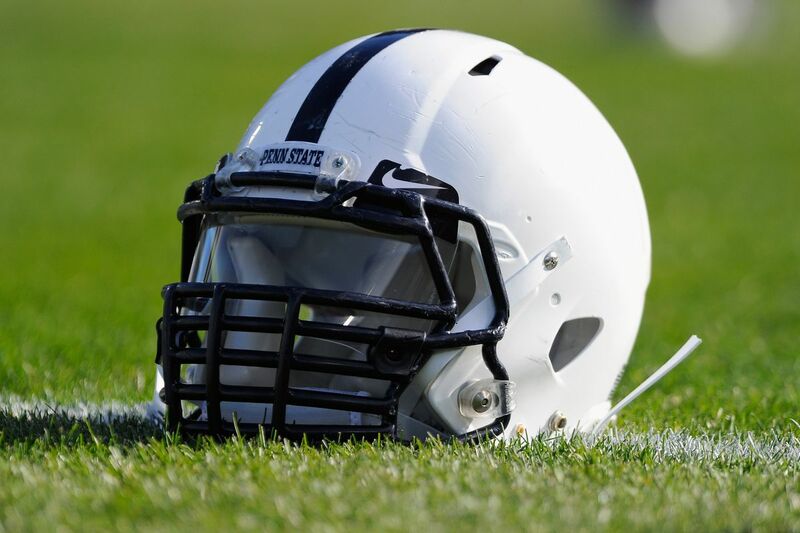 It’s hard to get much more simple than the Penn State helmet (although one helmet on this list accomplishes that). The all-white lids are kind of boring and the blue stripe could be a little wider, but all-in-all, it’s a pretty iconic helmet and it works for the Nittany Lions. Another helmet that’s a little boring and could use a wider stripe, but BC’s maroon and gold colors put it over Penn State’s blue and white. Clemson has some of the prettiest colors of any college in the country. When you pair that with their tiger paw logo and bold triple stripes, you get a pretty stellar helmet. Boring design and terrible colors. But when you win 17 national championships wearing basically the same helmet, you get to set your own standards. Okay, I’m a little biased here. After all, this site is devoted to Huntington and Marshall University. But in keeping with how I lean toward simple designs, Marshall’s helmets are as good as anybody’s. They combine all the elements of the Clemson helmet with bolder contrast and stronger lines. The stripes are the perfect width, the ‘M’ is distinctive, and the kelly green is beautiful. Plus the slight sparkle in the white is a nice touch. It’s pretty hard to top Notre Dame’s plain gold helmets (and only two other helmets did). However, when it comes to iconic teams, the Fighting Irish are about the only team with enough bona fides to pull off this helmet. Many people (including me) were worried that the helmet would lose some of its luster after switching away from hand-painted shells, but I think they’ve held up just fine. Early football helmets were made of leather but even in those early days, players and fans wanted some type of aesthetically pleasing design to make their team stand out. In the late 1920s and 1930s, many college and even professional teams incorporated colorful designs into the panels of leather that made up the helmets. The most popular of these was the “wing” design that featured a wing-shaped bumper over the forehead. While this design has made a comeback in recent years, only Michigan has truly made it their own. OSU has a classic and iconic helmet to begin with. But when you add in the buckeye sticker tradition, there’s no question it has to come in at No. 1. 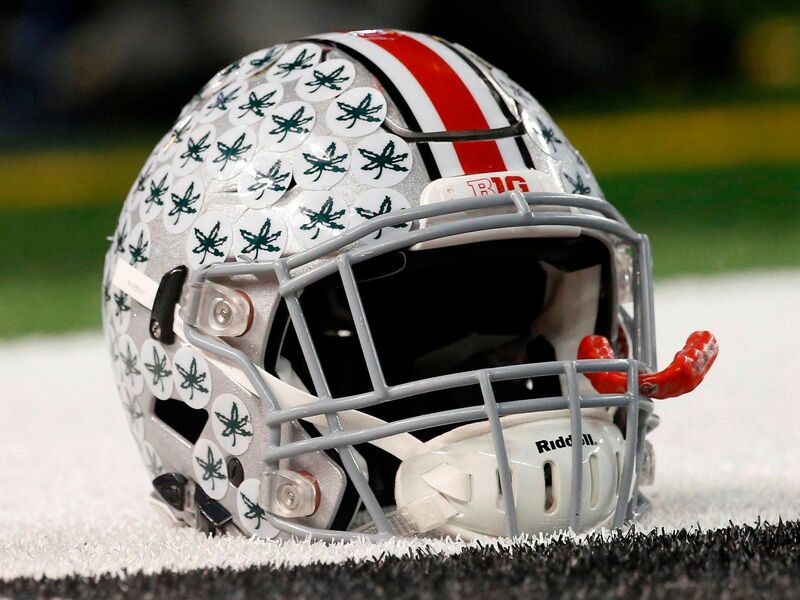 As the legend goes, the very concept of helmet stickers (which have since become ubiquitous around college football) began at Ohio State on the way to becoming national champions in 1968. Longtime trainer Ernie Biggs came up with the idea as a way to give players extra motivation. Head coach Woody Hayes immediately embraced the idea. Now, 51 years later, players at FSU wear tomahawks, Clemson wears paw prints, Georgia wears dog bones, and a slew of other teams have incorporated the tradition that started in Columbus, Ohio.